“Magic Trip” Gets A Groovy Poster!!!! I’m glad we are finally getting a documentary on this event. 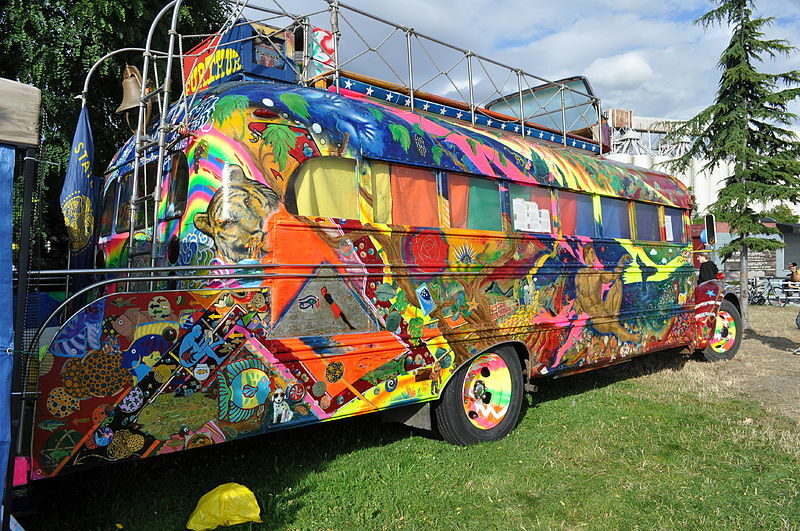 Ken Kesey is probably best known for writing “One Flew Over The Cukoo’s Nest, but he also was a iconic culture figure. 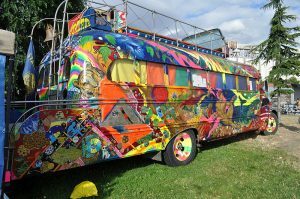 One summer, he and Neal Cassaday and their band of Merry Pranksters set out on the ultimate roadtrip in a school bus called the Further. The trip was an experiment with drugs and an attempt to create art with just LIFE. Everyday life. 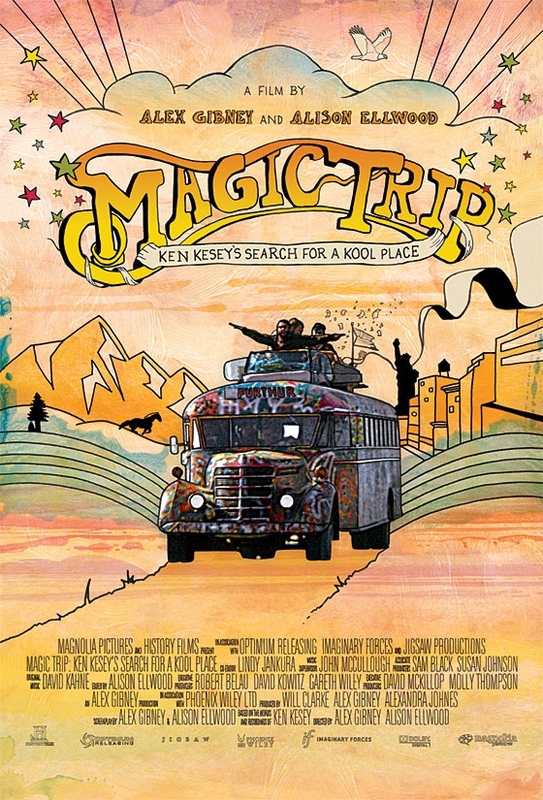 According to Vulture, documentarians Alex Gibney and Alison Elwood have found all the lost footage that was shot on this epic road trip journey back in 1964 and have cut and assembled it in to a movie called “Magic Trip”. The film is to be released August 5th. The poster is really groovy and trippy. I am thinking this will be compared to Fear and Loathing In Las Vegas. It’s going to be good, I know that. Enjoy the poster below and smoke if you got em’. This entry was posted on Tuesday, May 10th, 2011 at 3:33 pm	and is filed under Film, News. You can follow any responses to this entry through the RSS 2.0 feed. You can skip to the end and leave a response. Pinging is currently not allowed. « The “Real Steel” Trailer is Here and Holy Sh*t, It Will Blow You Away!!! !